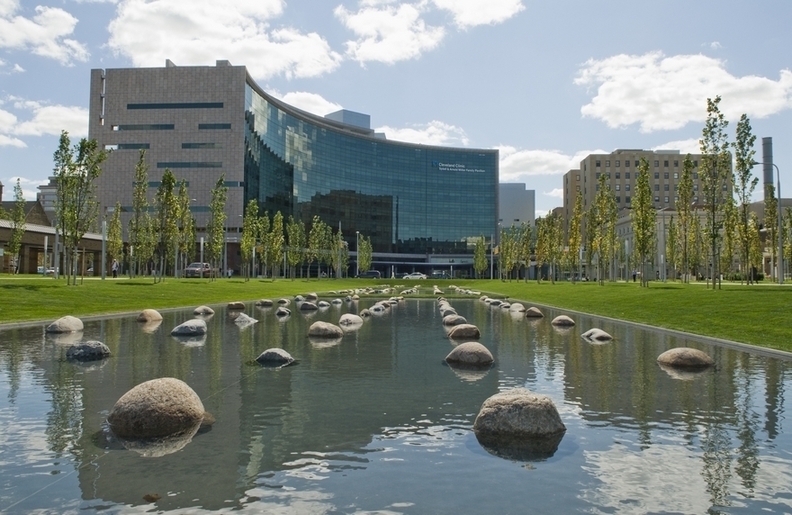 Cleveland Clinic's final operating income last year fell more than even CEO Dr. Toby Cosgrove revealed in February due to an accounting technicality. The 14-hospital system posted operating income of $139.4 million in 2016, a 71% drop from the $480.2 million reported in 2015, according to Cleveland Clinic's audited year-end financial report. The health system on Wednesday attributed the worse-than-expected numbers to an accounting technicality. During his February "state of the clinic" address to staff, Cosgrove said operating income was $243 million in 2016, but those were unaudited numbers. At the time, Cosgrove said the system's operating fall-off from a record-high 2015 was the result of care getting more expensive, insufficient reimbursement rates and Cleveland Clinic treating older and sicker patients. "I think we'll continue to have a positive operating income," Cosgrove said during his address. "I also think that it's going to be harder and harder to do that, because we're getting paid less for what we do and what we do is more expensive." Cleveland Clinic CFO Steve Glass said in an interview Wednesday that the system had to book additional pension costs as an operating item in 2016. It will be more appropriately booked as a non-operating item next year under the Financial Accounting Standards Board's rules. Glass said the system has scoured $700 million in costs over the past four years over all corners of the company. Administrative costs in finance and non-clinical hospitals operations have been cut by about 20%, he said. Clinical areas have shaved about 10% of costs over that time, he said. Revenue for the health system in 2016 reached $8 billion compared to $7.2 billion in 2015. Cleveland Clinic's operating decline was partially offset by a much more productive year on the investment front. The system's non-operating gain was $374.2 million in 2016, including an investment gain of $404.2 million. That compared with a non-operating gain of $138 million in 2015, with an investment loss of $56.3 million, the financial disclosure showed. The improved non-operating gain in 2016 helped narrow Cleveland Clinic's decline in net income for the year. It was $513.5 million compared with $618.2 million in 2015.